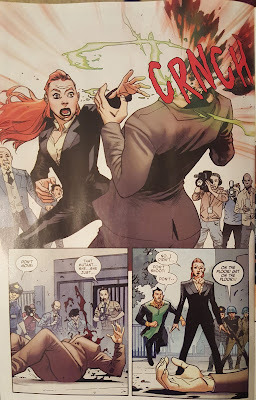 Aside from the superfluous violence, notice how masculine Jean Grey's drawn here? You read that right. The newest X-Men is a confessed super criminal who actively stole other people’s money. She then gives it to others because she believes a certain group of people is victimized. I won’t get into the actual political discussion of this issue because it’s been healthily debunked here in the United States by great minds like Thomas Sowell. However, I will get into the fact that this isn’t even a good story. This is straight propaganda disguised as a comic book. Writer Tom Taylor even has Honey Badger interject into Trinary’s confession and plea for help by saying, “And, just like that I have a new hero.” No, this person is a criminal. She actively confessed to stealing. What in the world is going on at Marvel where they think people stealing money is righteous and on the side of good? Would Tom Taylor like someone to go through his bank account and steal his money and claim it was for a good cause? I bet he wouldn’t like that one bit. 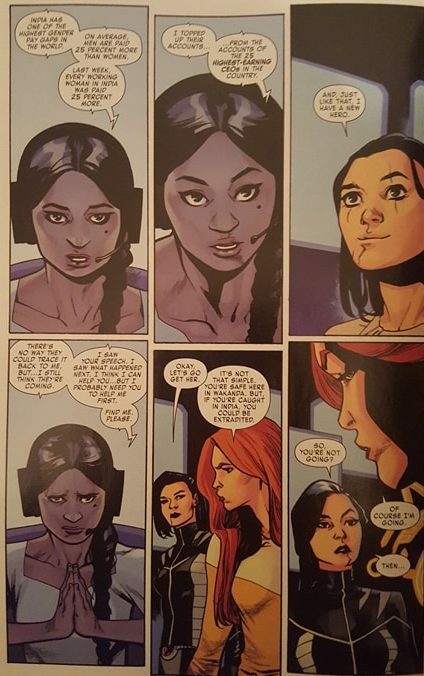 It makes me wonder if Spider-Man will fall victim to this kind of propaganda next, now that Nick Spencer's assigned to write the series. This is just all the more reason to avoid the X-Men and its spinoffs. Thomas Sowell would have hated Robin Hood.